Lmao I hate day at the races because it's luck based. Also do the same thing to Rakin Em In because the controls are too delayed for me! 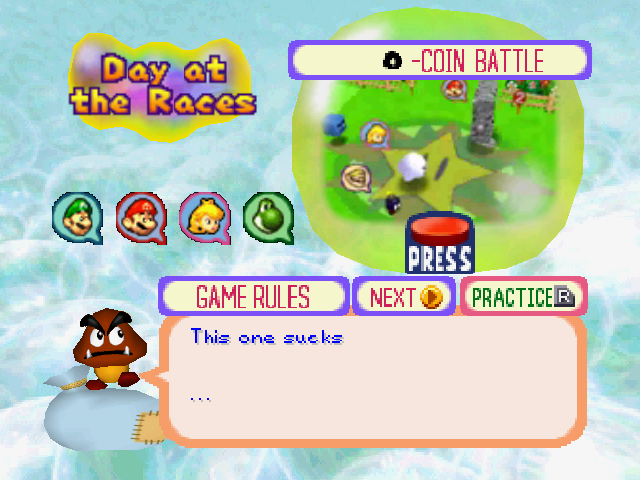 Found a way to edit text in Mario Party 3 using a hex editor. 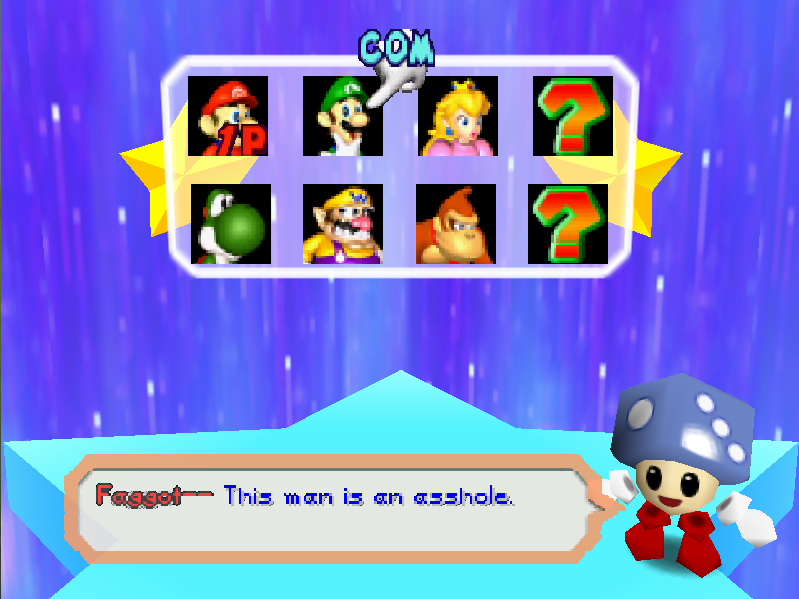 I hate Luigi in this game, so why not start with him? OMG how did you do that? which hex editor/steps taken please! NOOOOOOOOOOOOO! I'M A WALUIGI FAN!